Rock band Mr. Children insist they are not breaking up. The band yesterday issued a statement on their official website denying a recent magazine article that said they were on the verge of calling it a day. The article in the latest issue of the weekly “Shuukan Gendai” on Monday based its speculation on the fact that the band have a completely blank schedule after their current concert tour finishes in May and have announced no plans to release new material. Currently in their 20th year, MisuChiru as they are known to fans are one of Japan’s most popular and successful artists. The last time the band’s future was called into question was in the summer of 2002, when vocalist Sakurai Kazutoshi (39) suffered a stroke and the band’s went on a hiatus for about six months. But they bounced back as strong as ever. 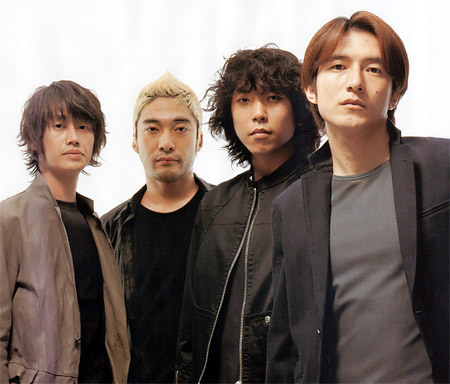 Their last single – “Hanabi,” released September 2008 – was their 29th consecutive release to enter the Oricon singles chart at No.1. And their most recent album – “Supermarket Fantasy,” released December 2008 – also topped the chart and was their 12th million seller. After more than a decade of persuasion, national broadcaster NHK managed to get them to appear on its annual “Kohaku Uta Gassen” live concert last New Year’s Eve.